You’re a mess. Well, not you, but your cords. You know the scene. Tangled wires. Chargers everywhere. And those damn routers that just ruin any shabby-chic decor. Technology is a part of our everyday lives, so it’s no wonder there are wires everywhere (even wireless items still have chargers!). 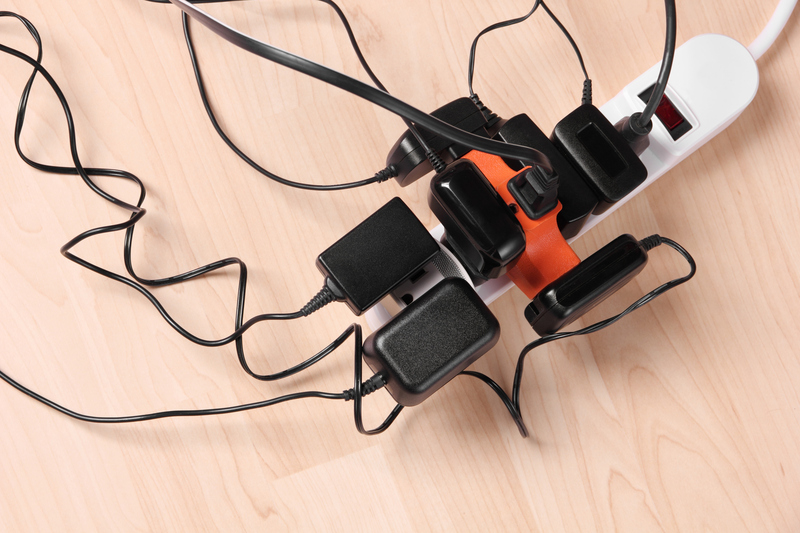 But since spring is finally here, and it’s all about renewal and decluttering your home of unnecessary items, there’s no better time than now to hide the cords that are cluttering every corner of your home. Luckily, it’s pretty easy to manage the clutter that tech seems to create. 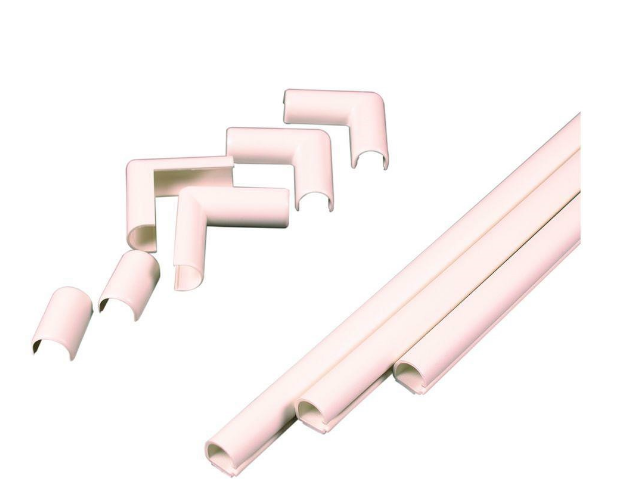 You can buy products to make your life easier or, if you’re more of the DIY type, there’s no shortage of common household items you can repurpose to hide cords around your home. If your New Year or spring resolution was to start new habits and get. your. life., then you need to try one of the 15 cord organization solutions below. One of the DIYs even involves an item you use every day. Spoiler alert, it’s toilet paper! 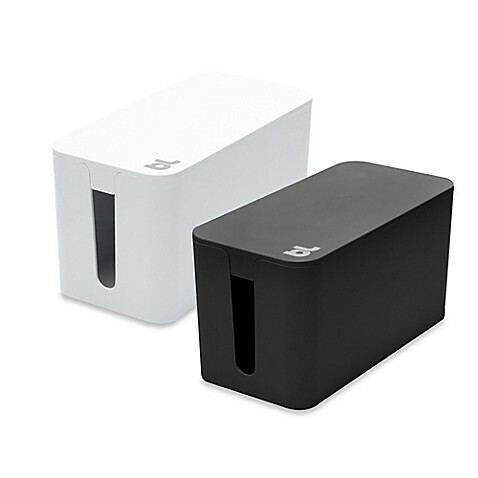 The sleek box sits on your desk, or pretty much anywhere, and hides your unsightly cords. You probably have a cute decorative box hanging around. And now you have a cute box that stores your cords. Ta-da. For the cords you have stored away, use a few TP rolls to keep them tidy. 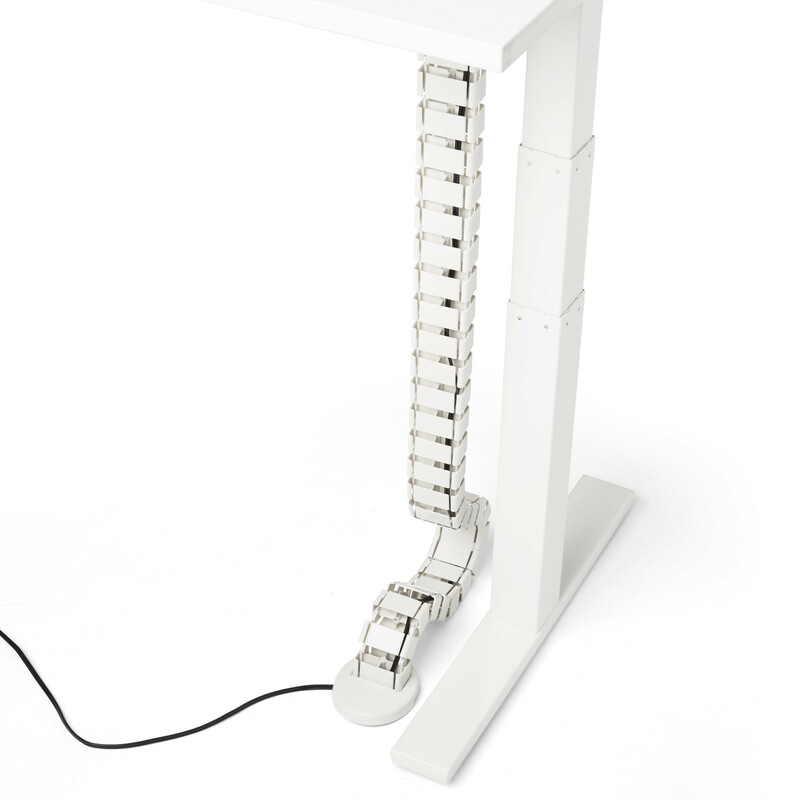 Snake your cords through this column and they’ll perfectly blend into your decor. There’s nothing more unsightly than a ton of wires dangling from the walls. Here’s your easy, affordable solution. 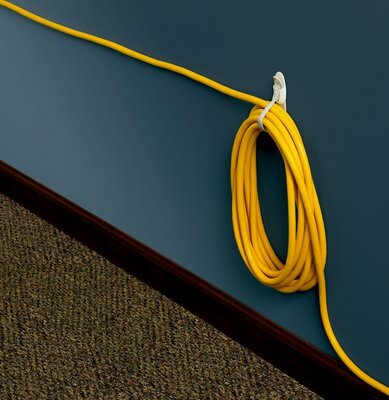 A simple hook attached under your desk can keep your cords contained and prevent you from tripping on them. Router boxes are a decor eyesore. It’s a fact. But that’s about to change with this fun DIY. If you’ve ever accidentally pulled out the wrong cord (they all look the same! ), a bit of washi tape will remedy that. Thrift stores are full of quirky and vintage pieces, so why not turn one into a charging or storage station for your electronics? Heavy duty cords are no challenge with these Command bundlers. You probably have a ton of binder clips hanging around your house or in your office’s supply closet. Here’s another use for them. As small as cords are, they can take up a lot of space, especially when traveling. 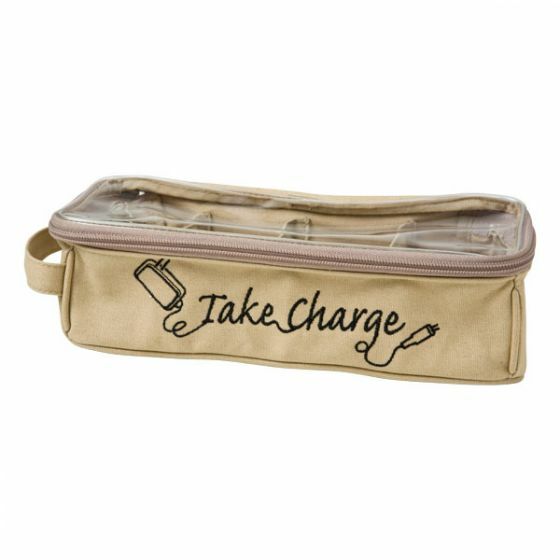 This pouch has expandable compartments for easy storage. 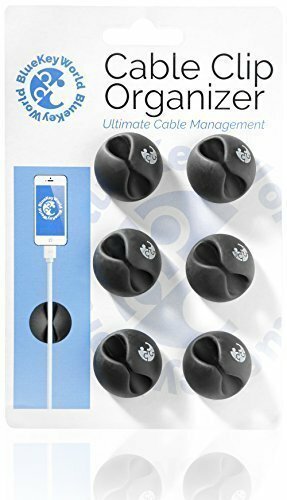 Hang one of these by your bed, nightstand or kitchen counter and you’ll never have to reach down for your fallen cord again. Any product with the word taco in it is a winner. 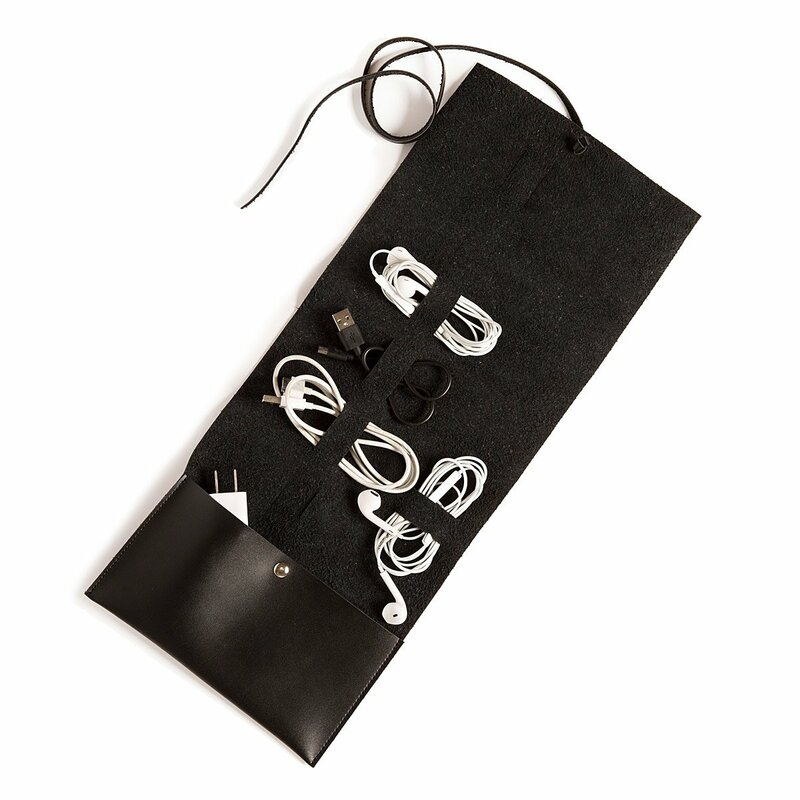 But these leather organizers keep your ear buds, USB cords, and more tangle-free. 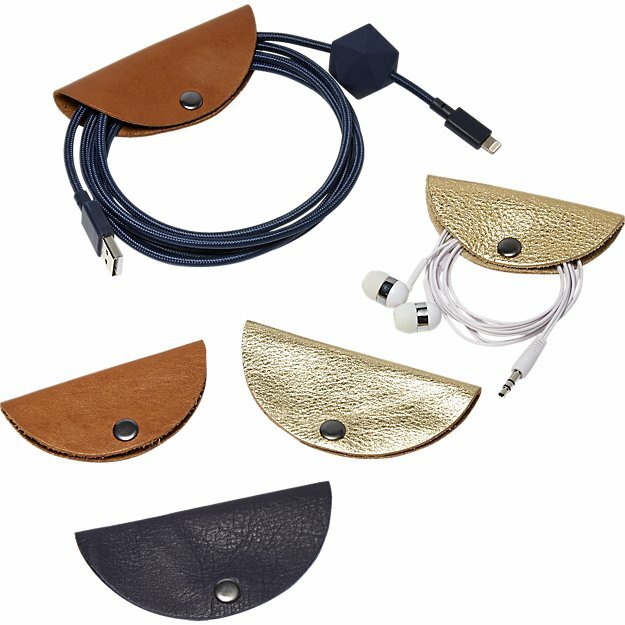 Frequent travelers will love this vegan leather case that fits up to eight cords and two plugs. Being organized never looked so good!